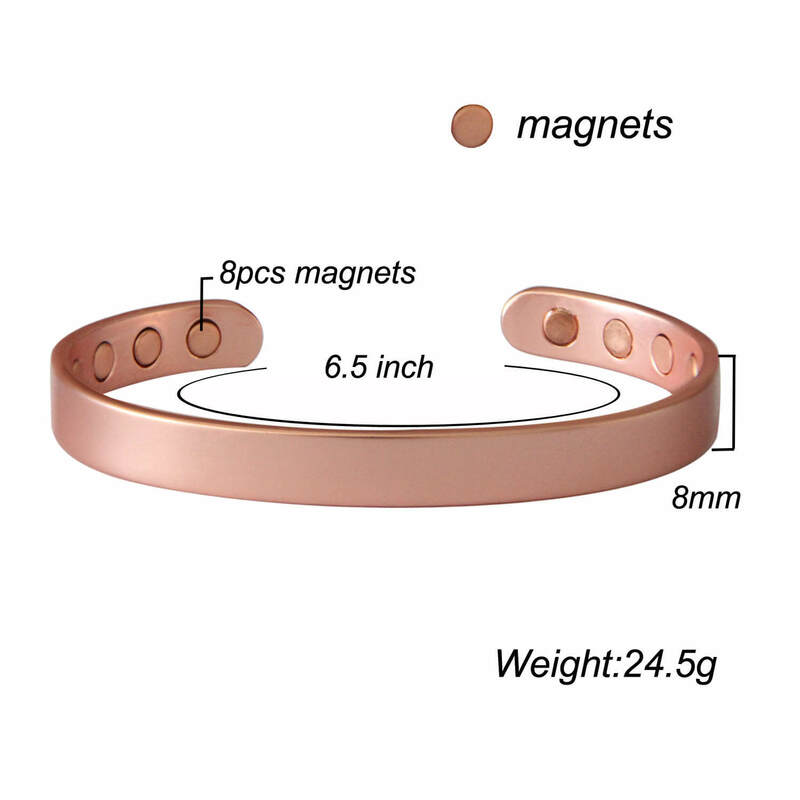 【8 Neodymium Magnets】8pcs 3000Gauss rare earth magnets close to the wrist, improve the circulatory system, the blood flow in the body. As your body gets more of the nutrients and energy it needs from the blood. 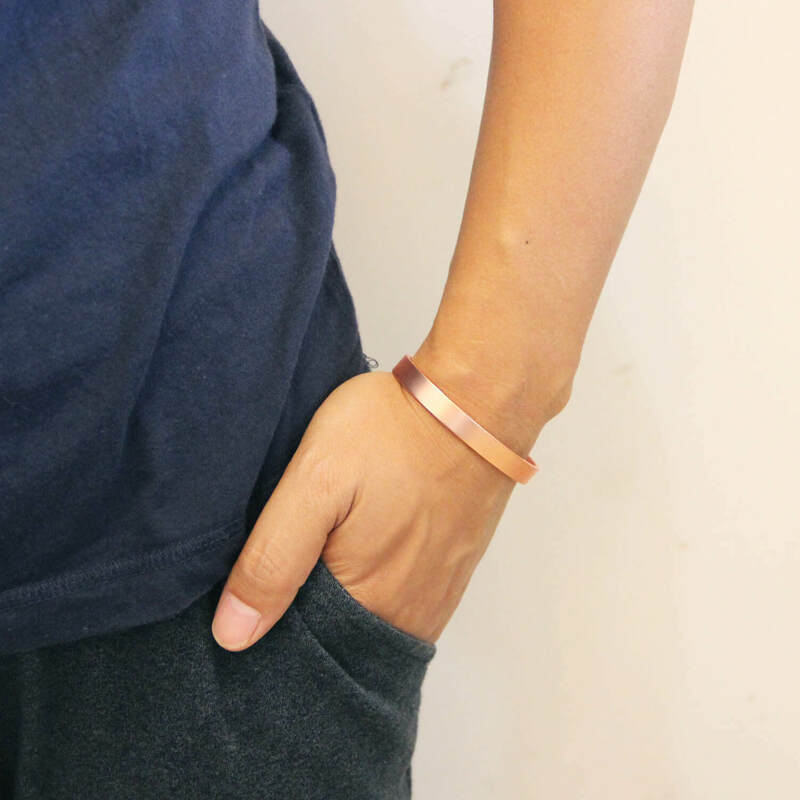 【Easily adjustable to fit most wrist】Open design is easily adjustable to any wrist size with just a light squeeze. 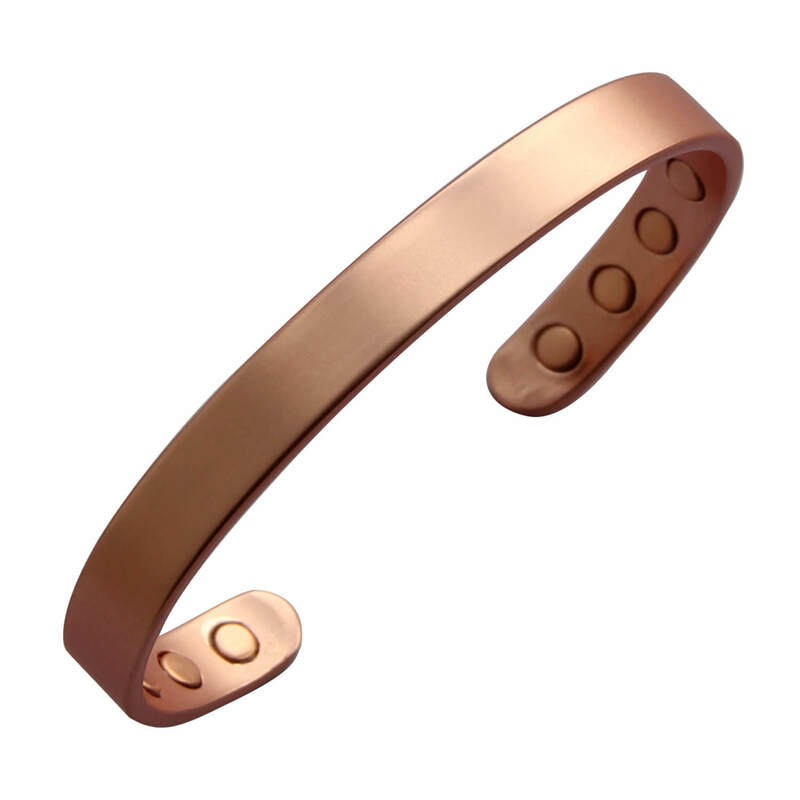 【100% Satisfaction Guarantee】Try our Pure Copper Bracelet RISK-FREE for a full 180-days and feel the difference for yourself! If for any reason you are not completely satisfied you can get a fast, prompt refund. No questions asked. " I am very impressed with the quality and the finish. Very high-end product. I am 5'11' 165lb male. I think it looks very nice on my wrist. 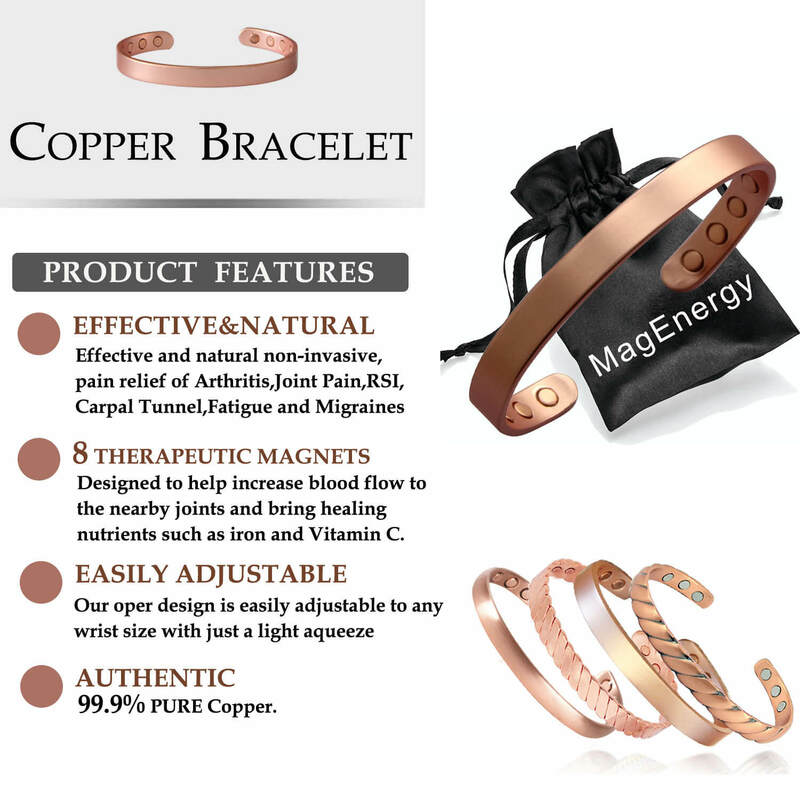 Time will tell if copper and magnet have medical benefits but it looks very stylish for sure. I think my wife is going to steal it from me. :-) Satisfied. Recommended for its looks and quality! This bracelet was better than I expected. Very good quality, heavy duty, and nice packaging. This is going to be a great stocking stuffer for my husband. 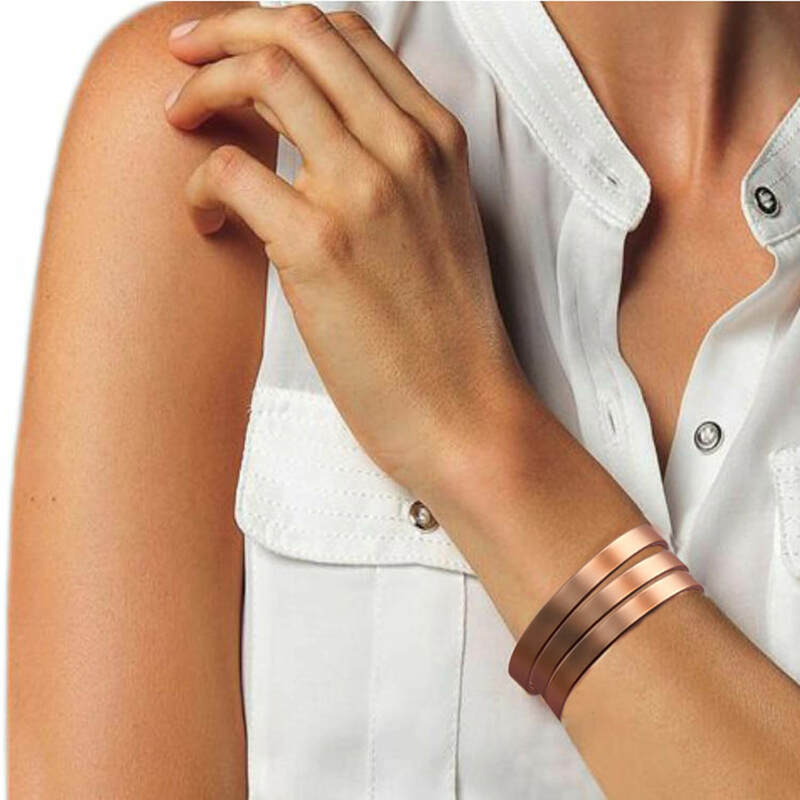 It is big enough to fit probably anyone but is easily adjustable to fit smaller wrists. It is nice that it has such clean lines, great for male or female. 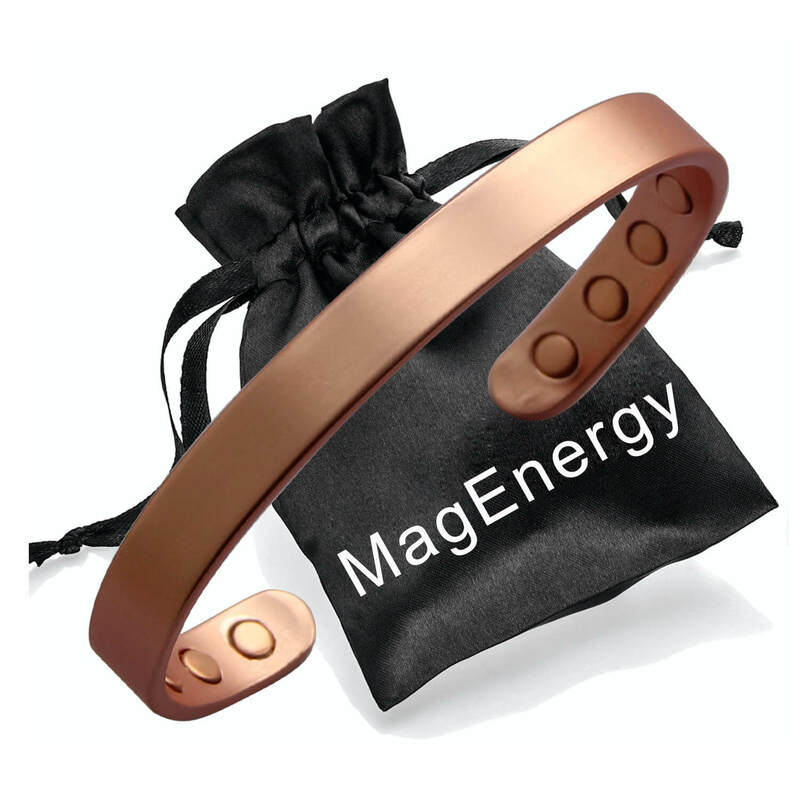 I have heard really good things about copper and magnets for health so I am very excited to see results. I'm big boned, and it fits nicely. Color looks good for my hands and magnets are helpful. I would love to order 2 more and pair up with them.